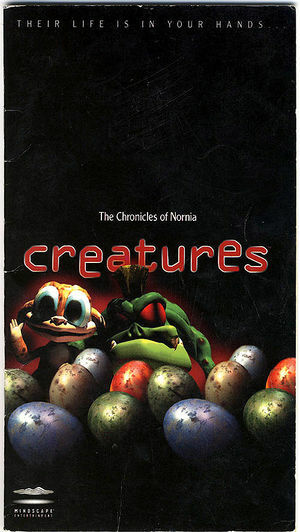 Cover of "The Chronicles of Nornia"
The Chronicles of Nornia is a small guide booklet that came with the original boxed version of Creatures. It outlines the "care and feeding" of Norns, and tells about the kits, objects in the world, breeding, and the Grendels. Its title is a reference to a series of fantasy books by C.S. Lewis, The Chronicles of Narnia. This page was last modified on 2 December 2009, at 11:45.